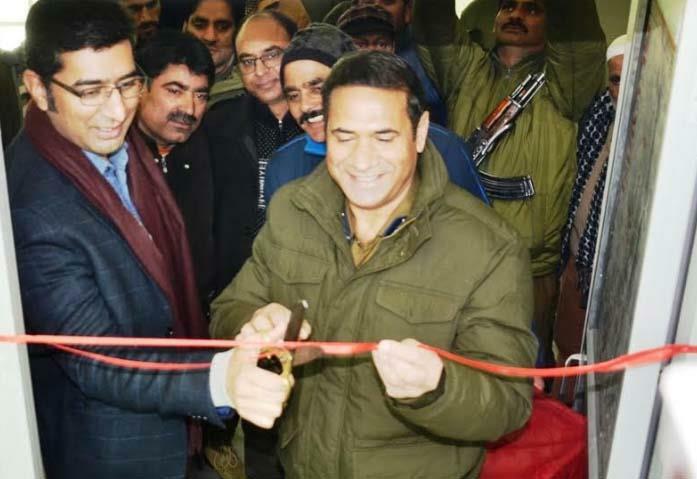 BANDIPORA, FEBRUARY 09: Deputy Commissioner Bandipora Dr Shahid Iqbal Choudhary on Saturday inaugurated a cafeteria at Block-C of the mini-secretariat Bandipora. Superintendent of Police Sheikh Zulfikar Azad was also present on the occasion. The opening of the cafeteria was a long pending demand of the employees of the mini secretariat and the public in general as there was no such facility in the area. Employees thanked Deputy Commissioner and Superintendent of Police for fulfilling their demand. The Cafeteria will be managed by JK Police and the eatables will be available at subsidized rates.